All about food – wild, cultivated, weird or posh! On May 16, we lost an extraordinary leader in the world of wine, legendary American vintner Robert Mondavi. One of the many important lessons Mr. Mondavi taught us was to always be there to help a neighbor, a friend, our community or beyond. He was one of the most kind and generous people we’ve ever known. One of the original founders of both the Napa Valley Vintners non-profit trade organization in 1944 and its community fundraiser, Auction Napa Valley, in 1981, Mr. Mondavi set the standard by which all Napa Valley vintners strive to operate: making wines that are among the best in the world and using their resultant status to raise money to support charitable causes. We are all beneficiaries of Robert Mondavi’s vision, his generosity, his warmth of spirit and his joy for life, and in tribute, we invite wine lovers from anywhere in the world to share a remembrance of the man and his accomplishments as a vintner, a Napa Valley ambassador, a supporter of his community, a patron of the arts and a friend to many. 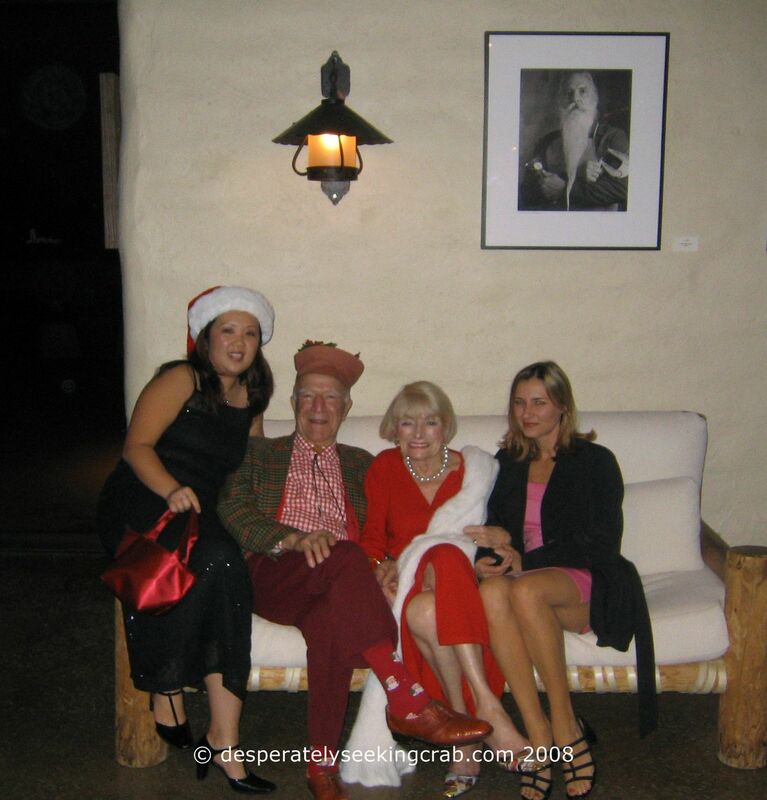 Before I left the house to catch a flight Saturday morning (Australian time), I saw a headline from Wine Spectator online that Robert Mondavi had passed away. Although it is true what James Laube said, that “we knew this was coming” (due to his ailing health), it was still very sad news for me (and countless others) to read that he had died. He was 94 years old, just a month shy of his 95th birthday. Like many people who have left comments on the various news and wine industry websites online, I have a lot nice things to say about the man that I didn’t really know very well but who influenced me greatly in my career and how I look at work. I first met him at the Commonwealth Club in San Francisco for the signing of his autobiographical book, “Harvests of Joy” in 1998. He spoke of his life and experiences and I remember being impacted by his passion and his belief that anything can be accomplished with hard work and conviction. Years later, I was a student at UC Davis where I took an Introduction to Winemaking class. 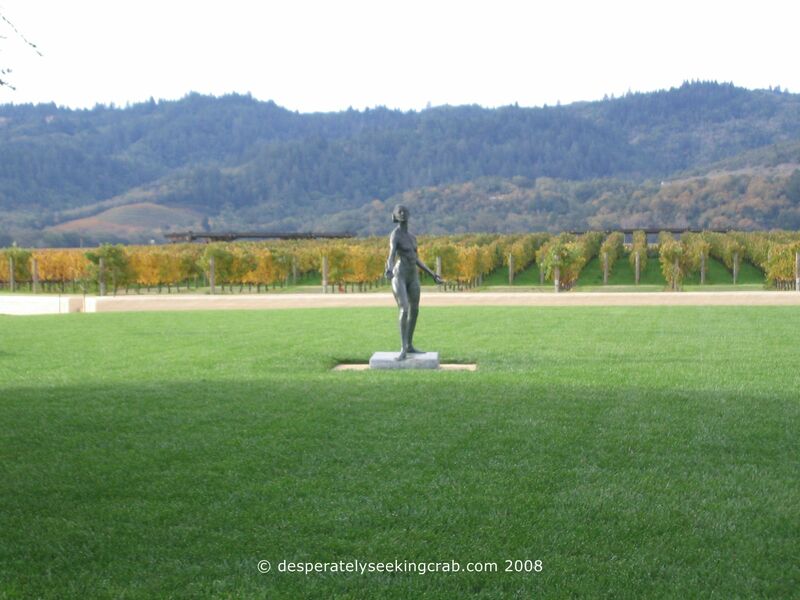 It was then (particularly during the history of California wine) that I realized just how important and instrumental Mr. Mondavi was putting the Napa Valley on the map. 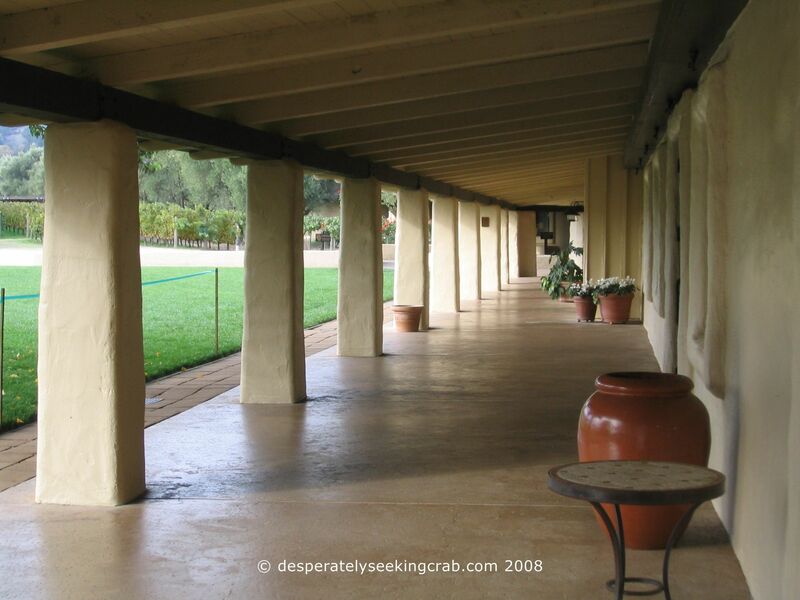 As it happened, the Robert Mondavi Winery was hiring summer wine educators and I immediately jumped at the chance. The day I got the job was one of the best days of my life and I never took the job for granted for the nearly three years that I worked there. I even drove three to four hours a day from my Sacramento home to work in Oakville. Margrit and Bob Mondavi was not only generous through their philanthropy (Copia, UC Davis & Oxbow School) but also opening their home to Visitor Center employees with both an Easter and Christmas lunch. They allowed us to walk around in their home as if we were all one huge family. He would always kiss ladies on both cheeks whenever we said hello and preferred us to call him Bob. I will never forget how I broke down in tears as I started my very last tour under that famous arch knowing how much I would miss the place. I have been thinking about what to say in this blog for days and I do not have enough words to express everything that I feel. 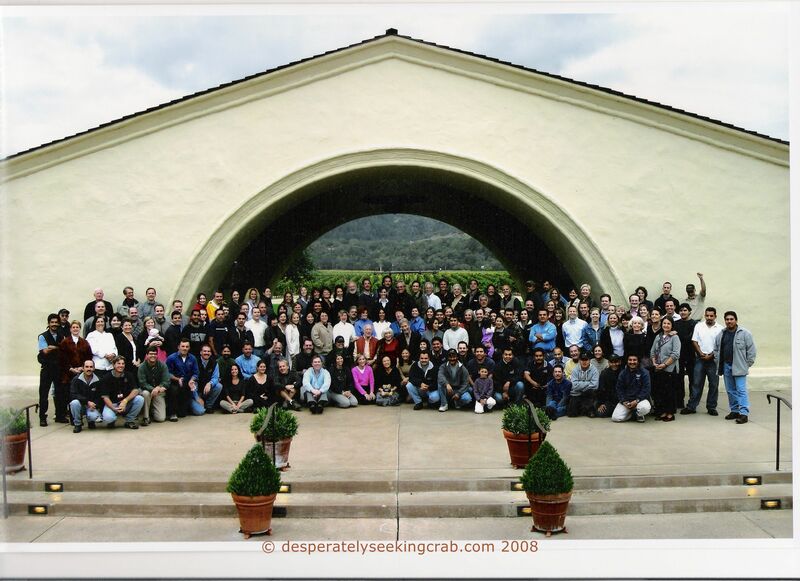 Working for the Robert Mondavi Winery was an experience that I now use as the benchmark for job excellence. In my experience, it was the only place of employment where everyone truly respected and was in awe of the founder. He was a tireless and passionate crusader of California wine with an amazingly huge heart and I and countless other former colleagues who have written tributes, are so blessed to have been part of sharing his passion. My sincere condolences go to his family. This site is best viewed with Mozilla Firefox. Happy New Year – Osechi Ryori in Australia! Proofread Before Sending to the Printers! I’ve been included in Food Blog Search! (c) 2011 Desperately Seeking Crab. All rights reserved. No content on this website including, but not limited to, text and photography may be reproduced without prior explicit written consent from the copyright holder.